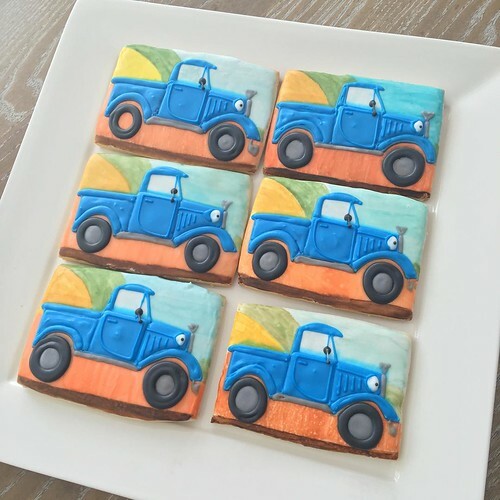 These cookies were made for a baby shower, the theme was Little Blue Truck. First, I flooded the rectangular cookies with white royal icing. I then piped in the blue trucks, and when dry, "watercolored" the background to look like the children's book. 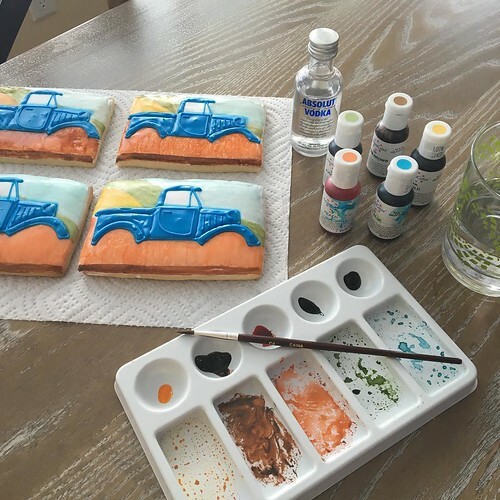 I use vodka to dilute my colors, because the high alcohol content helps the colors dry quicker than regular water, so as not to make the sugar dissolve and eat away at the base layer of icing.